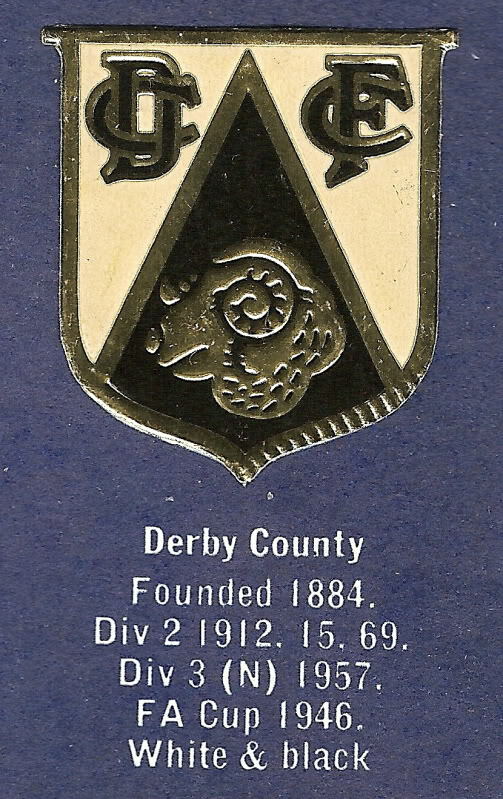 Derby Countys football badge is another of those that is pretty easy to explain, the image below is taken from the 1959 Encyclopedia of Sport and shows the DCFC initials intertwined and a Rams Head in the middle of the badge. It all goes back to 1884 when the football club was first formed and the founders (Derbyshire County Cricket Club) wanted to call the new team Derbyshire County FC, however the Football Association complained the name was too long, common sense prevailed and a shortened version of Derby County was accepted. It was no surprise though that which such county pride being displayed the football club would adapt their badge around the nickname of the countys most famous folk lore, a 100 foot Ram, as legend has it that the county was home to such a creature in days gone by. 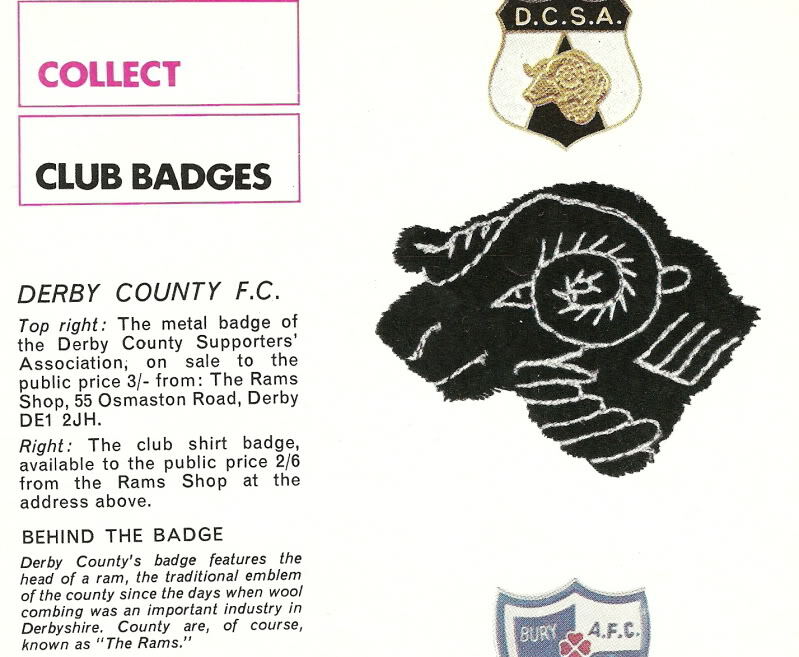 "Derby Countys badge features the head of a ram, the traditional emblem of the county since the days when wool combing was an important industry in Derbyshire. County are, of course, known as The Rams"
As the transcript above suggests Derbyshire was heavily involved in sheep farming as well so probably with or without the 100 foot version the Ram would feature somewhere along the line. 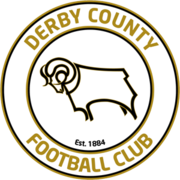 So as you see in principle it has always centred around the Rams head and it would be hard to see how or even why Derby County would ever want to change that in any major way, and lets be honest thats just the way it should be for any football clubs traditional badge ! !